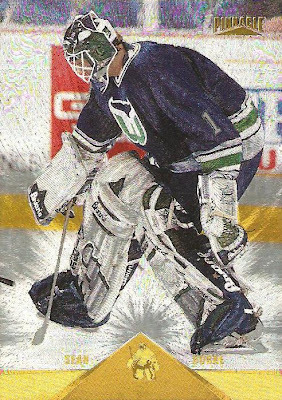 I'm a sucker for any inserts from the first 3-4 Fleer Ultra sets. 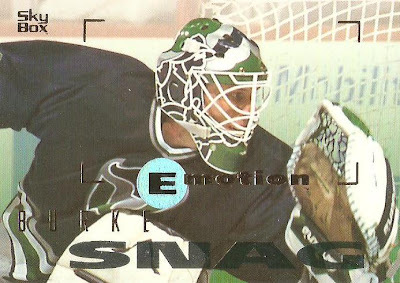 The 1994-95 Upper Deck SP inserts were great back in the day. 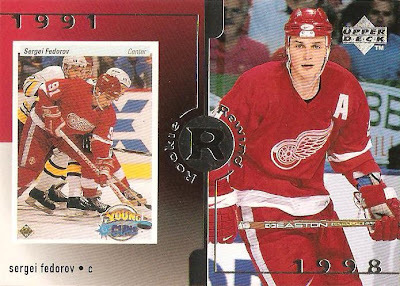 In fact, I liked them much more than the 94-95 base cards. Lindros was HUGE during my first run at collecting, I guess the kid in me still can't pass on one that I don't have for a quarter. 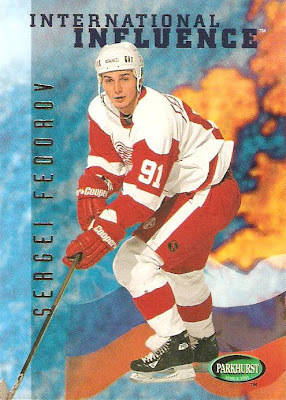 Another card for the Fedorov collection, I'm up to 78 now. This is from the 1998-99 Upper Deck flagship set. It's part of the Rookie Rewind subset. Interesting concept, and since I was done collecting before 1998 I had never seen this one. 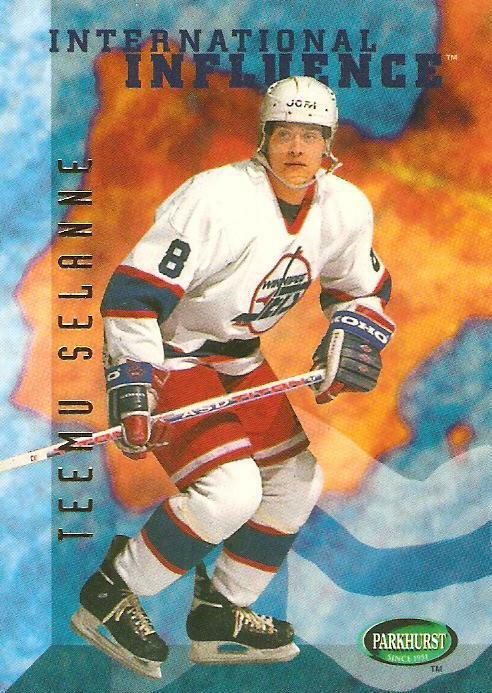 ...and Selanne. Interesting that two of the three will playing in the league this season. 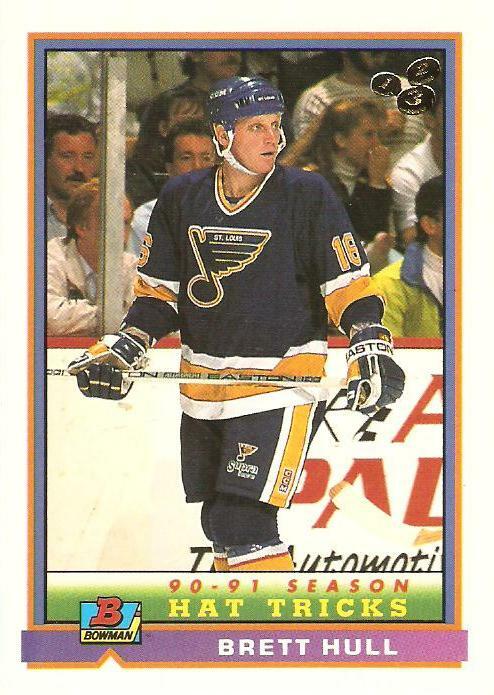 Finally, a Brett Hull Hat Tricks card from the 1991-92 Bowman set. Not too shabby for $2.50 huh? 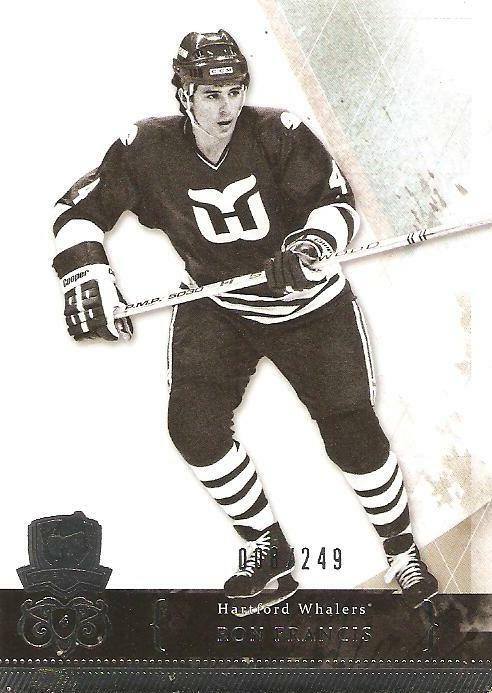 More Whalers coming this weekend! Thanks for the Memories Tito! It's looking more and more likely that after an epic late-season meltdown, Terry Francona will not be back next year as the manager of the Boston Red Sox. I truly believe that the decision is mutual, and that this would've occurred under just about any circumstance (save maybe a World Series title). Tito was the best manager this team has had in my 20+ years as a Red Sox fan, and was the man at the helm when they broke the infamous World Series curse in 2004 (then repeated in 2007). Change is inevitable though, especially after a collapse like the one the Sox just experienced. He's served his time, brought championships to the city, and now it's time to move on. Besides, would you want to manage John Lackey for another season? Didn't think so. Best of luck to you Terry, in Chicago or wherever you end up! Thanks for leading the hometown Red Sox to the only two championships of this young baseball fan's life. This is my first Ron Francis auto, and in fact is the first Hartford Whaler auto in my collection. I've never paid much attention to The Cup in years past, but when I saw this card I knew I had to have it. 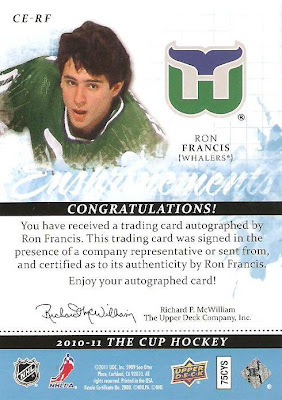 There just haven't been many opportunities to own a Francis auto where he's depicted with the Whalers. In fact, I can't think of any, although I'm sure there may be one or two others out there. 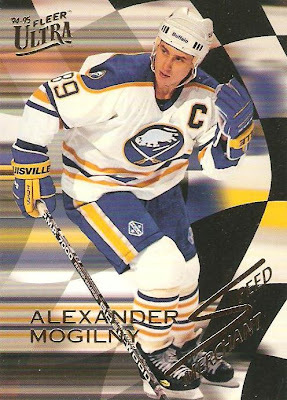 I love the look of the card, much better than the black and white base card of Francis from this set. The auto is on-card, which for the most part is the only type of auto I'll buy. 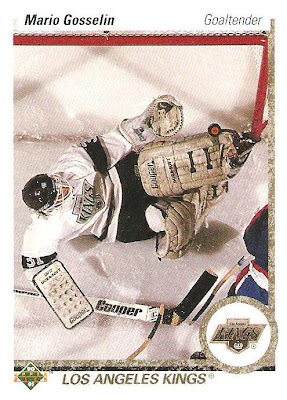 The card is also numbered to 50, so there aren't a million of these out there either. 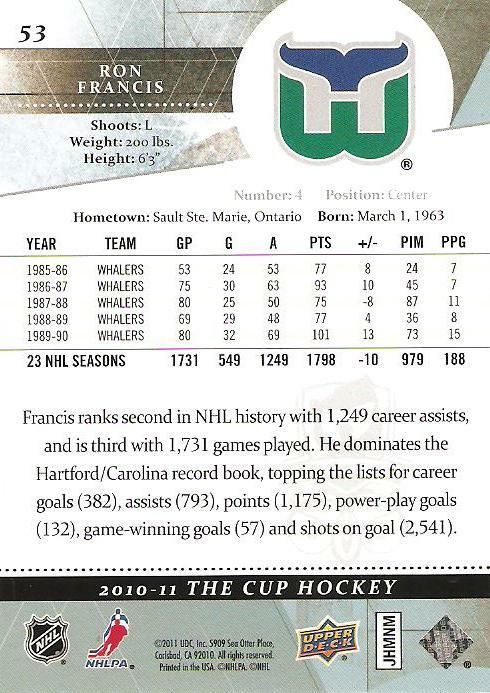 If there's one auto that belongs in every good Hartford Whalers collection, it's Ron Francis. I've gone on and on in recent posts about how under-rated Ron is, so I'll spare you. I will say that much like his rookie card, his autographs can be had at a pretty reasonable price considering where he ranks among the game's best. I snagged this one for just under $40. 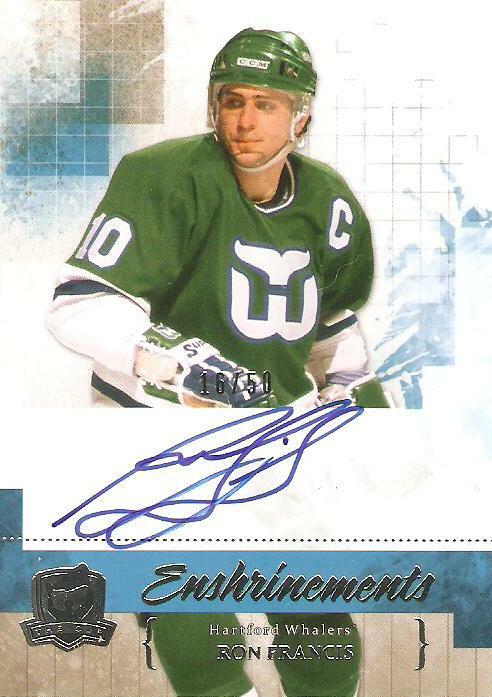 This is definitely my new favorite hockey autograph, and even though it's brand new it's an instant classic in my collection. I guess this must've been done on all the base cards. Anyway, this post won't be up for long. Tonight I'll show off a recent pick-up from The Cup that blows both of these out of the water! Peter Sidorkiewicz was at the helm for the 1990-91 season. 52 games played, 21 wins, played every minute of the team's loss to the Bruins in 6 games in the first round of the playoffs. Kay was starting to get some increased attention in 90-91, logging time in 18 games. 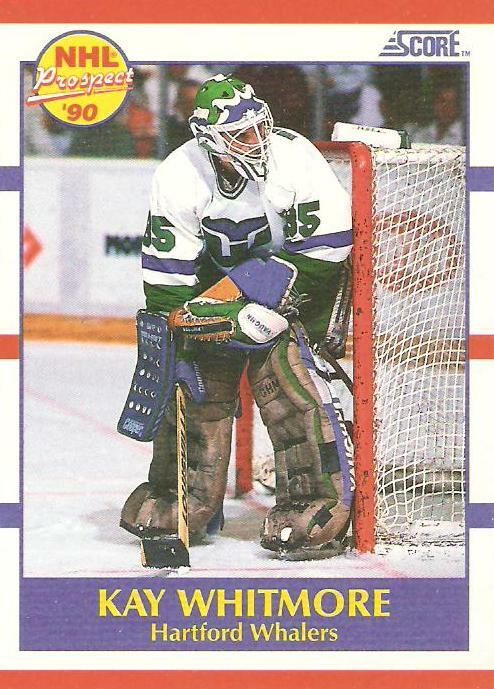 Some fans predicted he'd be the franchise's next long-time goaltender following the departure of Mike Liut. 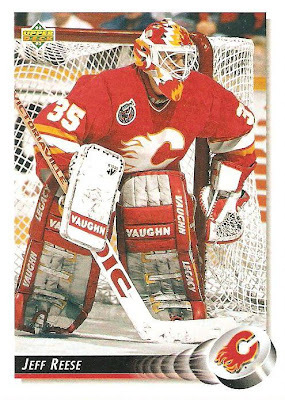 Ross McKay made one appearance in 1990-91, logging the only 35 minutes of his NHL career. 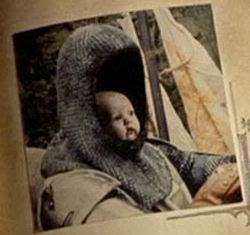 I'm 99% certain he doesn't have a card, so he will be dubbed the aptly named Sir Not Appearing in this Post. 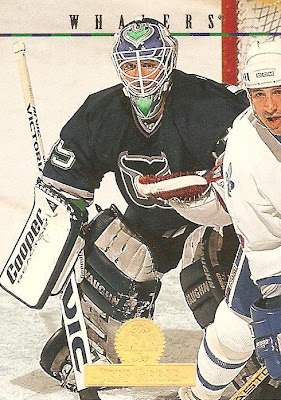 1991-92 was Kay's lone season atop the Whalers goaltending depth chart. It didn't go so well, and by the time the playoffs rolled around he had lost his starting job. Sidorkiewicz appeared 30 times in his final season with Hartford, winning just 9 games. He was claimed by the Ottawa Senators in the expansion draft following the season. 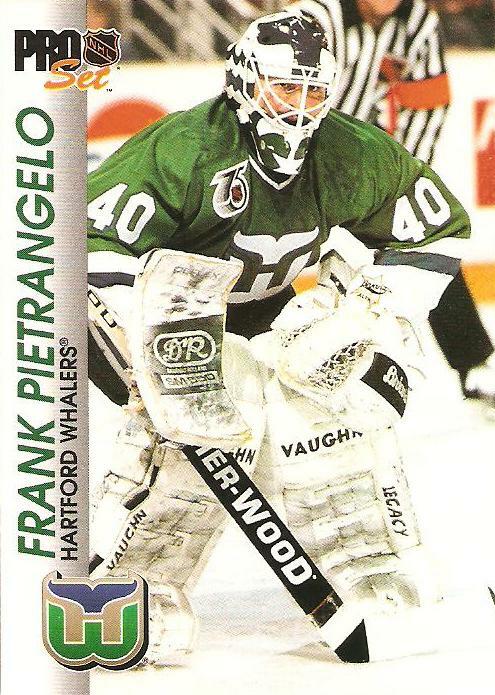 The Whalers traded with Pittsburgh for Frank Pietrangelo towards the end of the season. He was great to close out the regular season, going 3-1-1 in 5 appearances with a 2.35 GAA. Hartford faced off against Montreal in the first round of the playoffs though, and was eliminated in 7 games. Frank played basically the entire series. It was the last time the franchise would ever make the post-season. 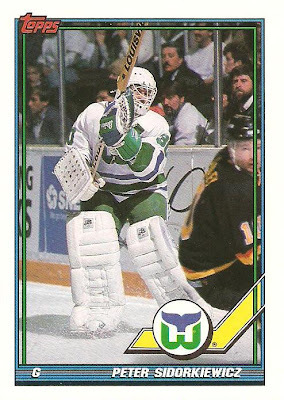 Whalers fans still had a bad taste in their mouths after the first round playoff loss to the Canadiens. 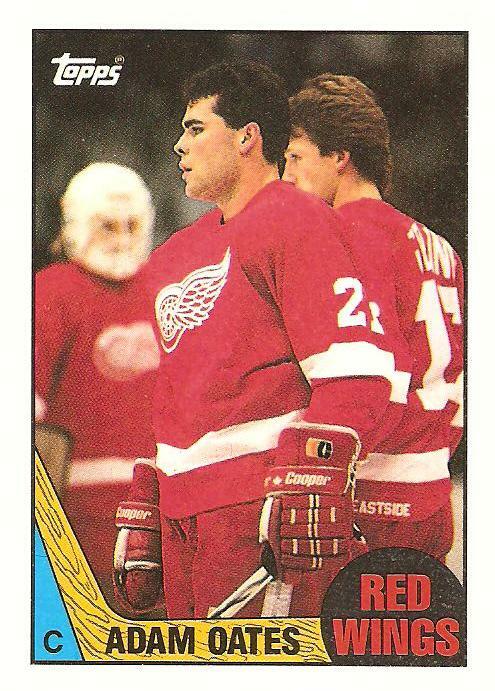 There was reason for optimism entering the 1992-93 season though, with a fresh face on the roster. Just before the 1992-93 season, the Whalers acquired goaltender Sean Burke (along with defenseman Eric Weinrich) from New Jersey, in exchange for Bobby Holik and a 2nd round draft pick (which ended up being Jay Pandolfo). 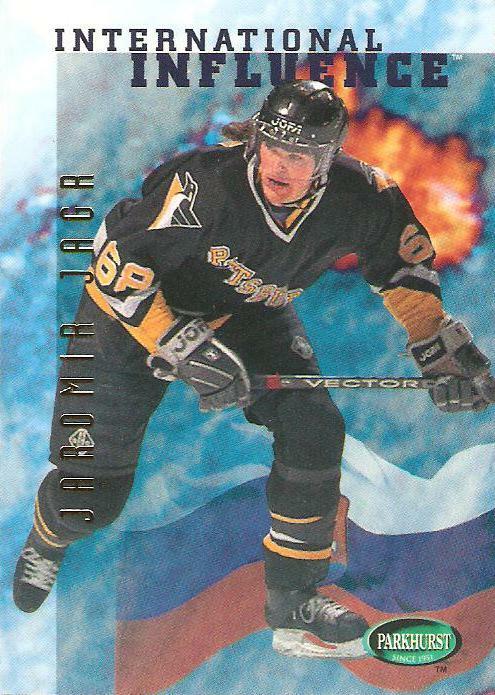 He took on the bulk of the load right away, appearing in 50 games in his first season with the team. 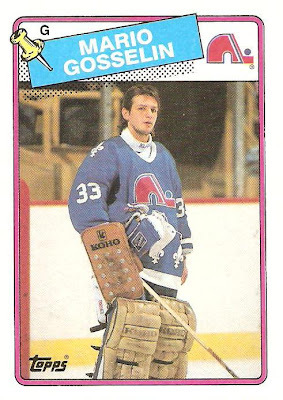 Unfortunately he posted a 4.16 GAA (the worst of his very long career). His record...16-27-3. On the heels of the playoff elimination to the Canadiens the year prior, Pietrangelo turned in a pretty awful season in support of Sean Burke. 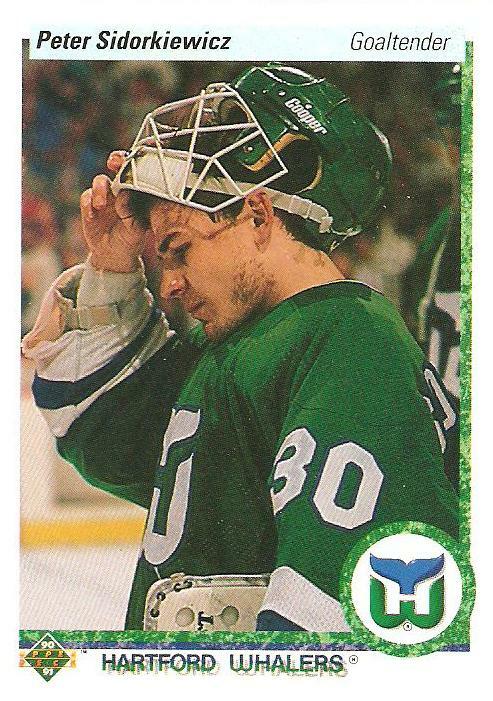 In 30 games his record was just 4-15-1, and his GAA was 4.85 (the worst of his career). After playing the 1989-90 season with the Los Angeles Kings, Gosselin played the 1990-91 season in the IHL. The Whalers signed him to a contract in September of 1991, and he played the 1991-92 season with their AHL affiliate, the Springfield Indians. He finally made it back to the NHL in 1992-93 with the Whalers, going 5-9-1 in 16 games. 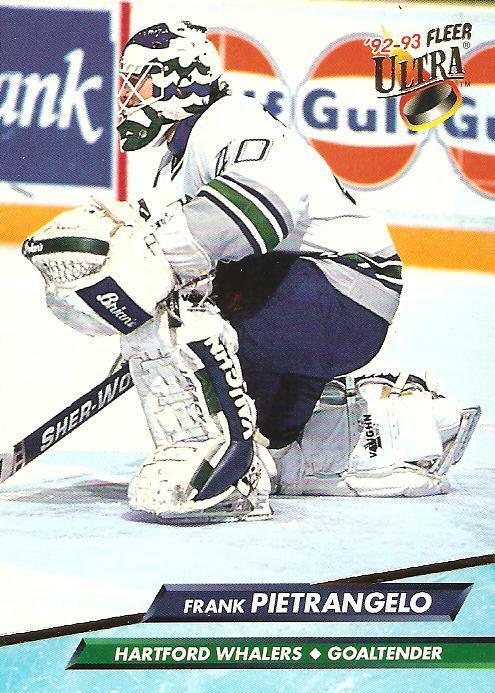 Mike Lenarduzzi was a 3rd round draft pick by the Whalers in the 1990 draft. He played in 3 games for Hartford in 1992-93, but I don't have any of his few cards. Only the Senators were worse in the Northeast Division. 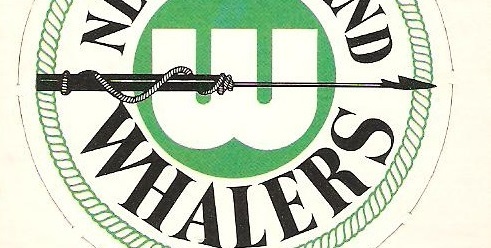 The Whalers missed a playoff spot by a staggering 21 points. U-G-L-Y. 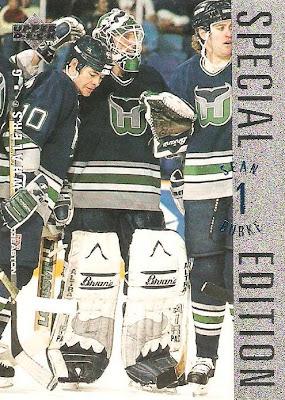 In Burke's second season in Hartford, he was certainly more effective than his first, as his save percentage rose from .876 to .906, and his GAA dropped from 4.16 to 2.99. The team around him still sucked though, so his record ended up being 17-24-5. Ouch. Pietrangelo was the third guy in line in 93-94. He saw action in 19 games, going 5-11-1. He would never stop the rubber in an NHL game again. 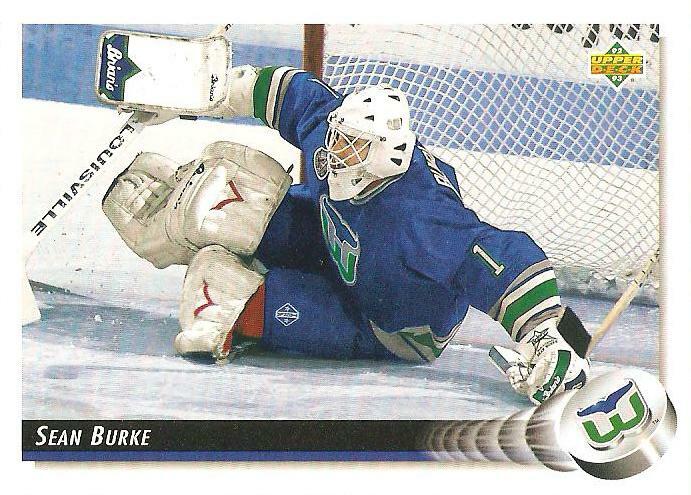 In a 48-game 1994-95 season, Sean Burke was again top choice in net. 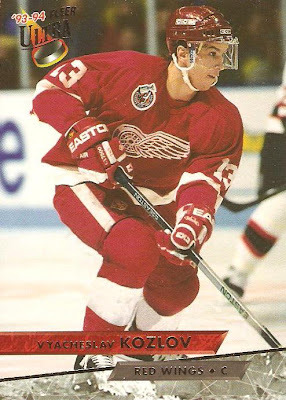 He appeared in 42 of 48 games, with a 17-19-4 record. Jeff Reese was back for another year, appearing in 11 games as option B. 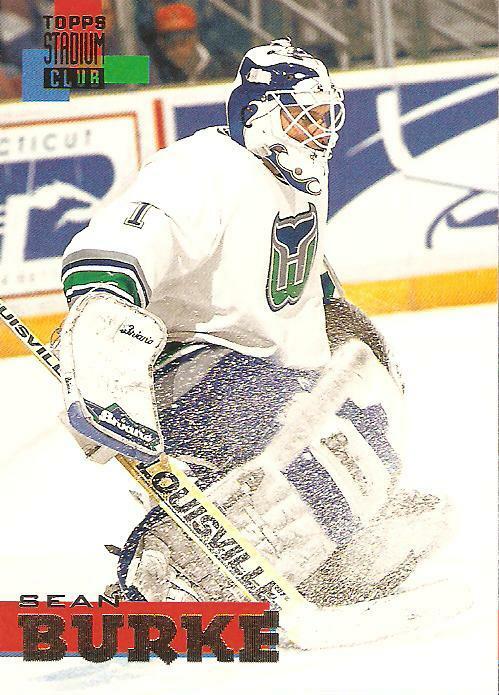 The Whale ended up 4th in the Northeast Division, at 34-39-9, missing the playoffs by 11 points, a wide margin. 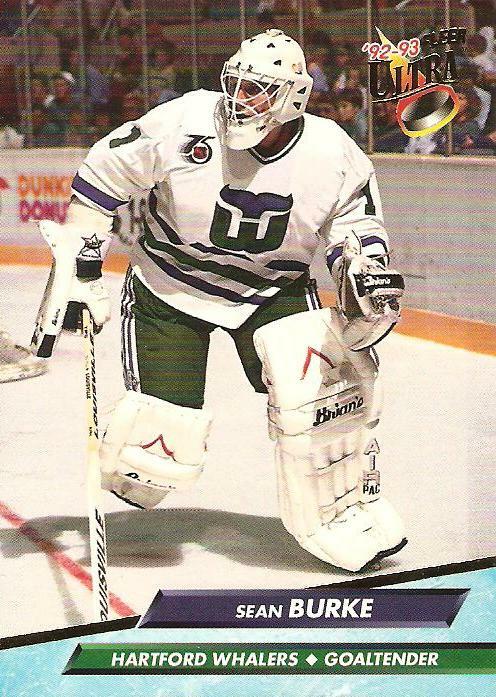 For the fourth straight year, Burke was the main man in net for Hartford. In 1995-96 he set a career high with 66 appearances. 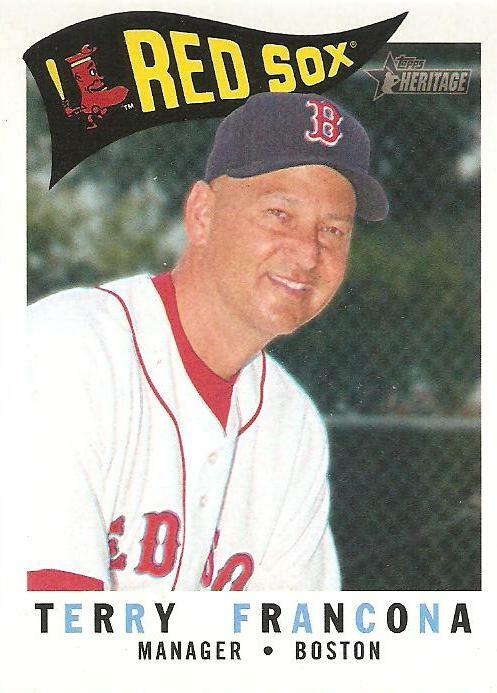 His 28-28-6 record set the mark for most wins and most losses in his 5 years with Hartford. He would acquire 4 of his 28 wins by way of the shutout. 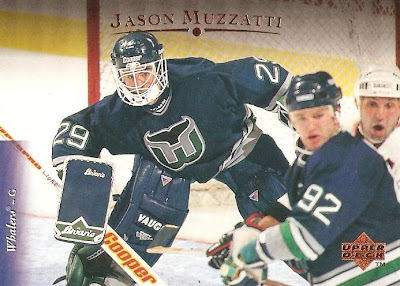 In his first season with the Whalers, Jason Muzzatti served as backup goaltender to starter Sean Burke. In 22 games he went just 4-8-3, allowing 49 goals. Jeff Reese got into 7 games in 1995-96. He did post a .918 save percentage and register 1 shutout. This would be his final year with the team. The team's final season in Hartford. 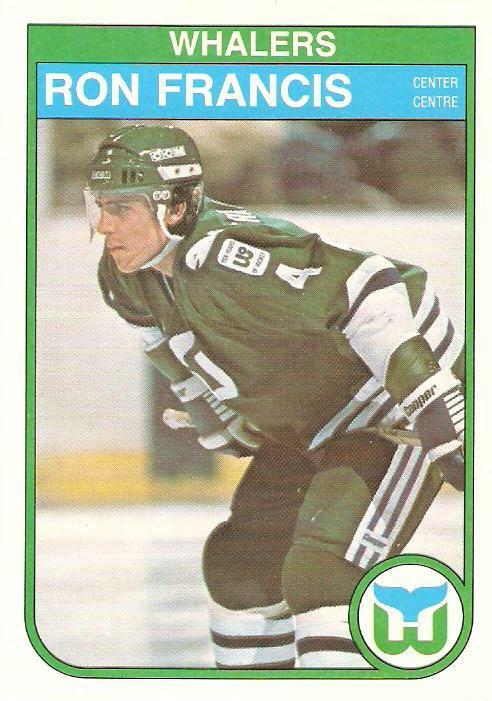 They would go a disappointing 32-39-11, finishing 5th in the Northeast Division. The Whalers ultimately missed the playoffs, but not by much. The 4th place Canadiens, who finished 2 points ahead of Hartford in the standings, made the cut. 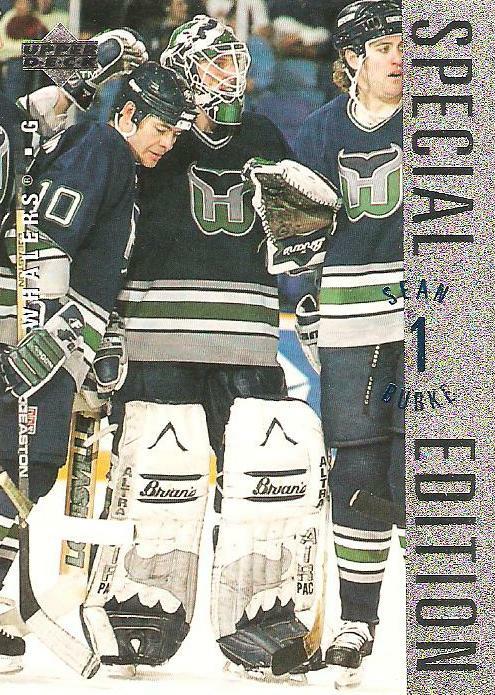 Sean Burke was the main man between the pipes for the final season of Hartford Whalers hockey. Appearing in 51 games, Burke went 22-22-6. 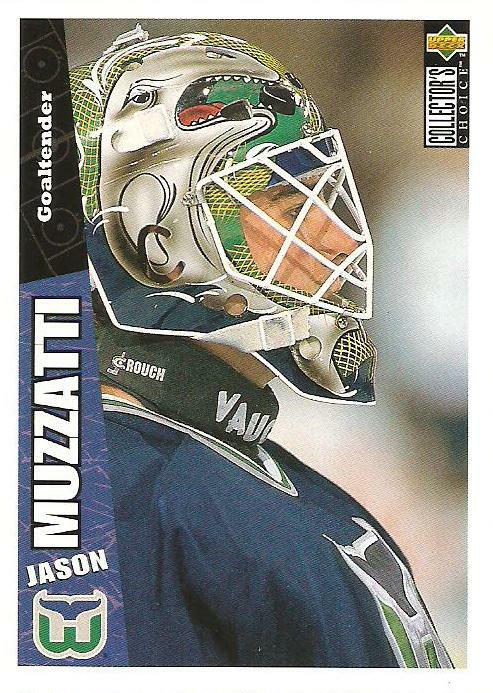 For the second straight year, he ended up with 4 shutouts. His .500 record was more a reflection of a poor Whalers team than anything, as Sean had an impressive 2.69 GAA on the season. 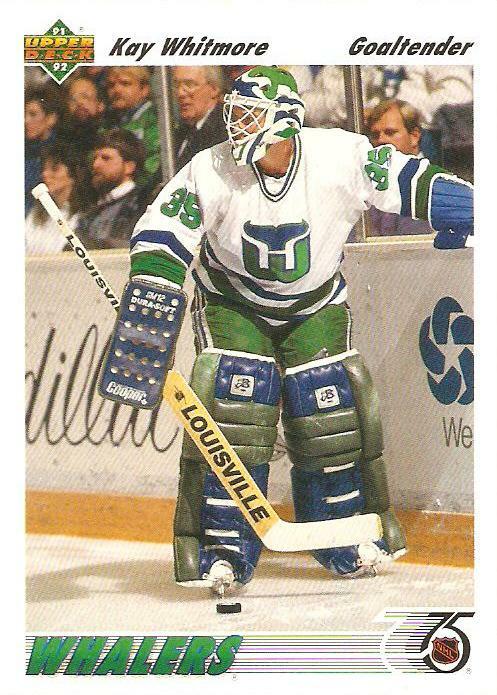 He also ended up with a .914 save percentage, the best percentage of any of his 5 seasons in a Hartford sweater. Jason Muzzatti was Burke's primary backup for a second (and final) season. He saw action in 31 games, a career high. 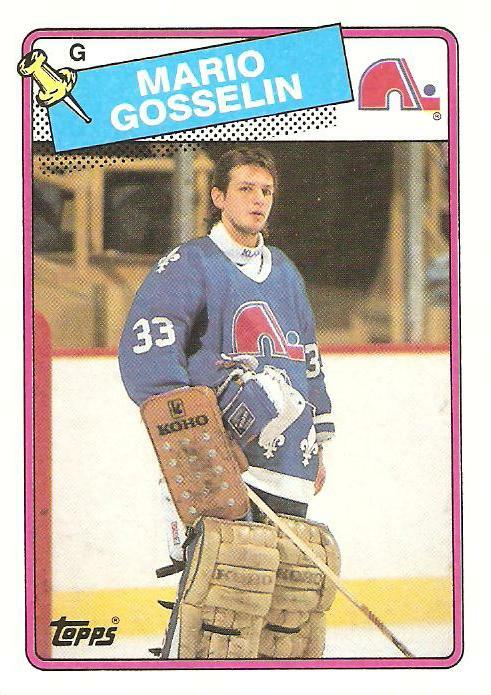 He posted a 9-13-5 record, 3.43 GAA and .888 save percentage. Finally, Jean-Sebastien Giguere saw action in 8 games with Hartford during the 1996-97 season. 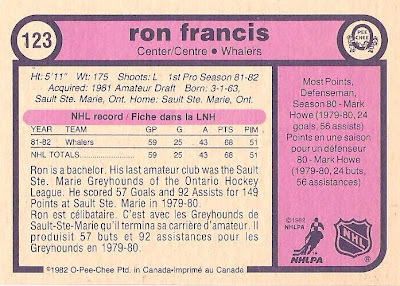 These were the first appearances of his NHL career. 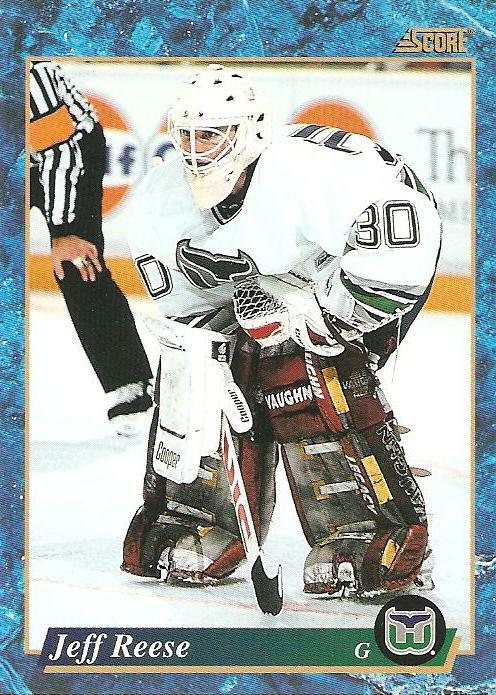 He went 1-4 with a 3.65 GAA and .881 save percentage. Who knew at the time that he'd still be at it over 15 years later. 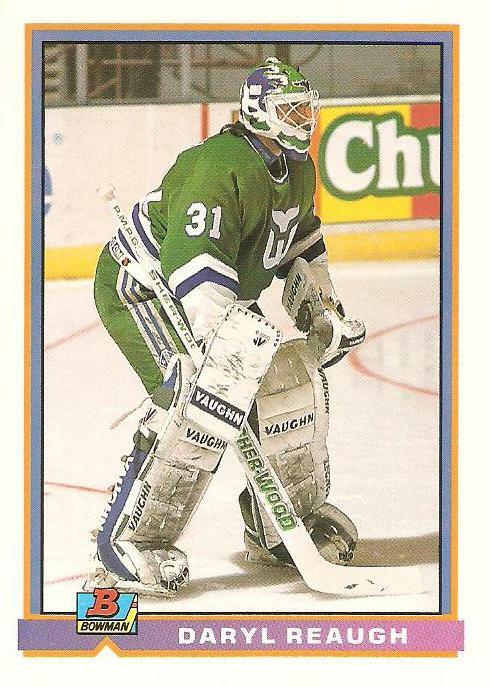 That would be the complete list of Whalers goalies of the 1990's. Not the most impressive bunch, I know. I would have to say that Sean Burke is the goaltender of the decade for the team, which is pretty sad considering he had a sub-.500 record with the team and never led them to the playoffs even once. 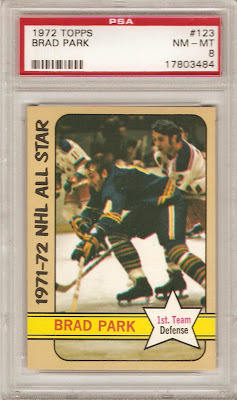 This 1972-73 Topps Brad Park was briefly considered. I love this set, in fact I'm casually working on accumulating the entire thing in a PSA 8 grade. There are a couple of issues with this one though. First of all, I already selected the Bobby Orr card from this same set as one of the first 4 cards that kicked off this series of posts. That's not to say I can't have multiple cards from the same set, but in a close race variety wins out. 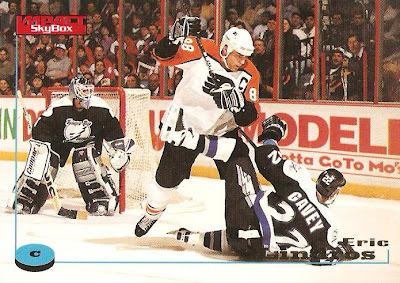 The other issue is that while I appreciate the in-game action photo, a rarity at the time, it's just not the greatest shot. 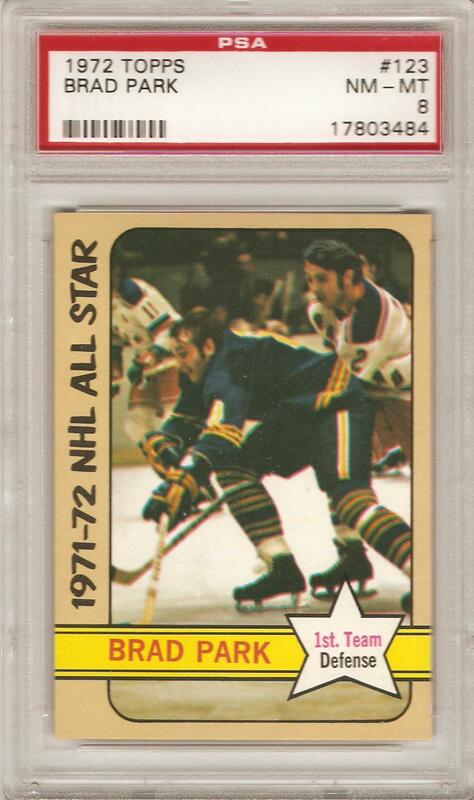 A casual fan or collector who picked up this card might assume at first glance that Park is the Sabres player pictured front and center. Of course, we all know he's the Rangers defenseman in pursuit, wearing the #2 that he sported his entire career in New York. I can't help but think that a better photo could've been used. 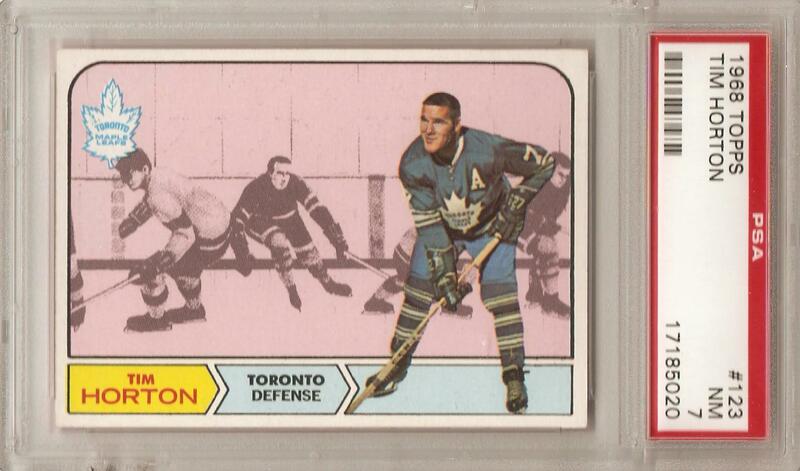 It really pained me to pass on Tim Horton here, and I'm sure it pained at least one other reader as well (I'm looking at you 1967ers). This card is fantastic, and it's from one of my favorite 60s sets. Definitely my best card of the Hall-of-Famer and Coffee giant. I like it so much that I featured it in my Top 60 Hockey Cards posts from last winter. So, what card could possibly beat out the 68-69 Horton for spot #123? Not much explanation needed as to why I went with this one. 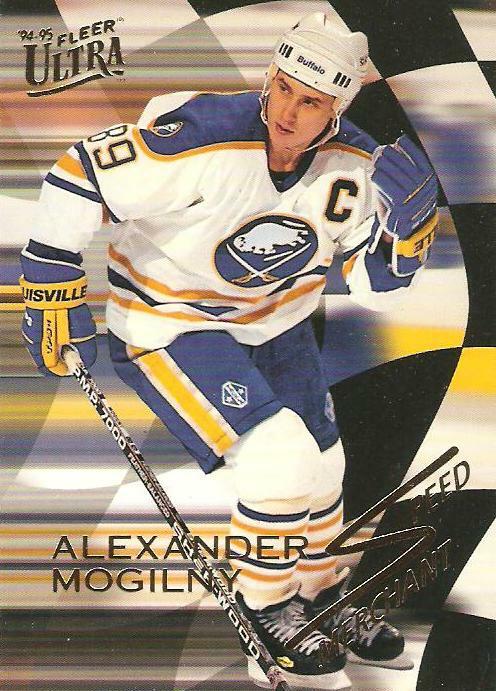 The rookie card of my favorite team's all-time best player. 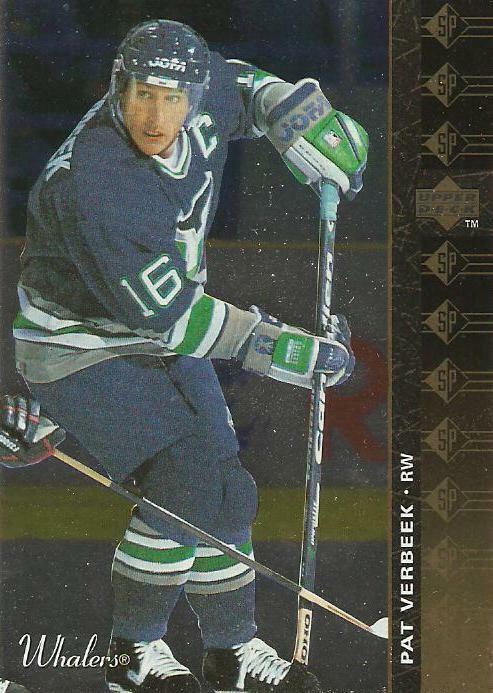 The only rookie card of my favorite team's all-time best player. 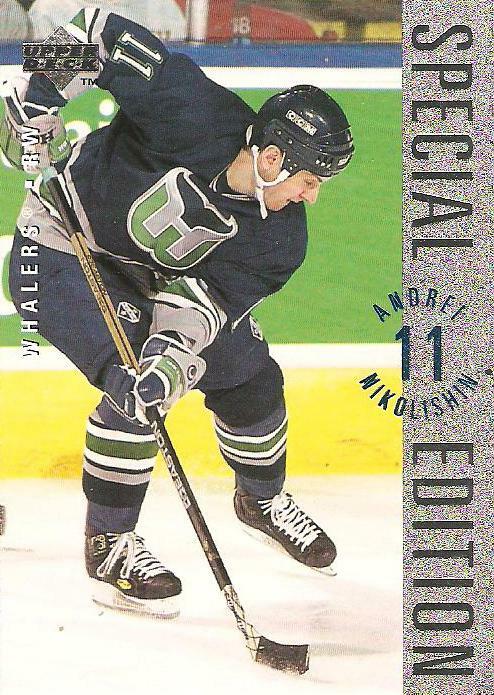 More games played, goals, assists and points than anyone else in Whalers history. 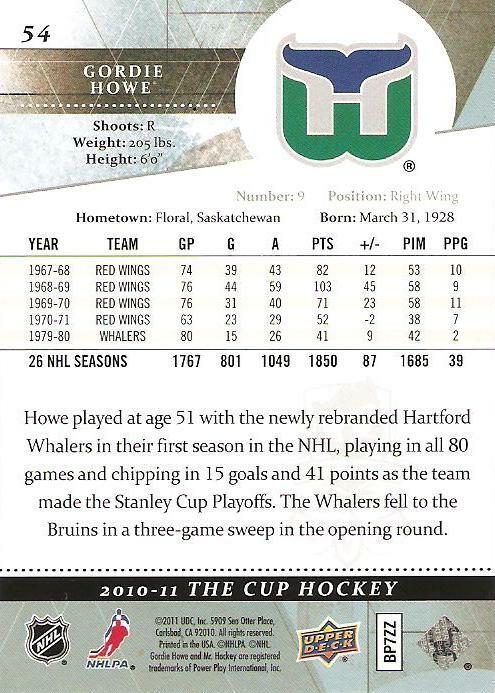 1,798 career points, 4th in the history of the league, just 52 points behind Gordie Howe (Howe did play 36 games more than Francis). 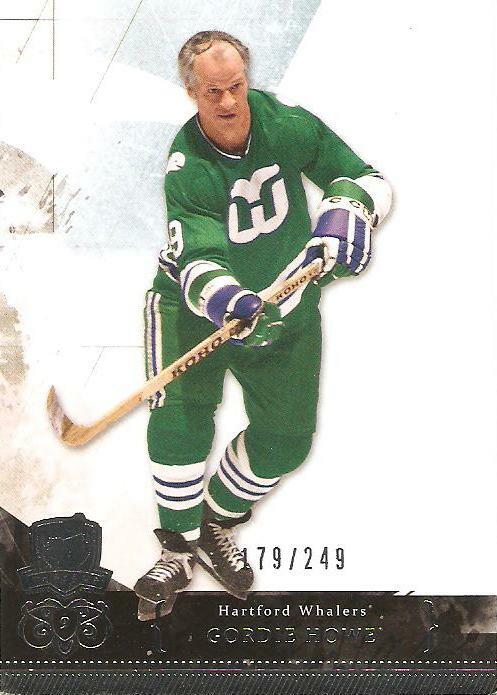 It doesn't hurt that this card comes from a set loved by many collectors, including myself. The 82-83 design is amongst the best of the decade. I picked up this slightly off-center but pretty much pristine copy at the hobby shop for less than $10. I've stated this before, but it's absolutely criminal that this card is worth as little as it is. It books at just $20, while Grant Fuhr's card in the same set books for twice that. Are you kidding me?!?! Even Andy Moog's rookie from the year prior books at $25. What a joke. If anyone reading doesn't have this one yet, I'd strongly suggest snagging a copy. 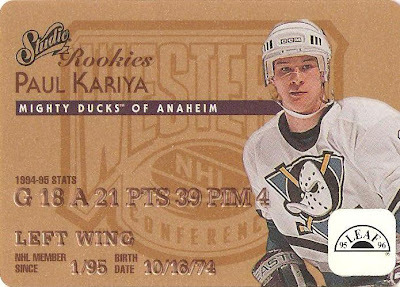 Without checking, I'd guess that this is one of the only big rookies of a top-5 career point guy in any sport that can be had for under $10. 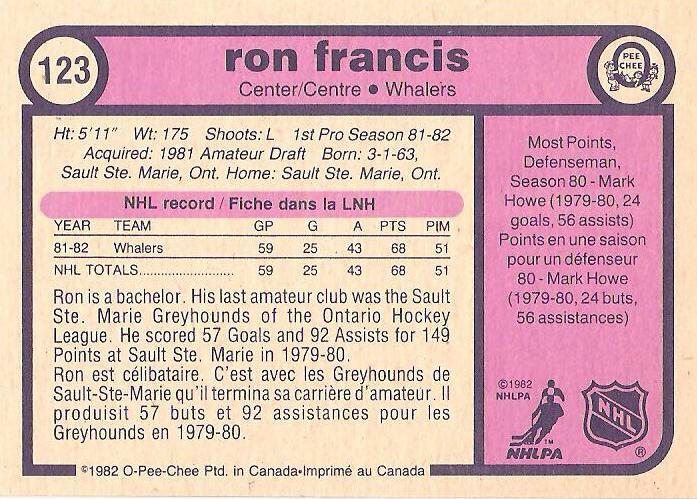 Regardless of it's "book value", Ron here definitely has a place in my Ultimate Hockey Card Set. The entire set can be viewed here. What do you think about the selection? 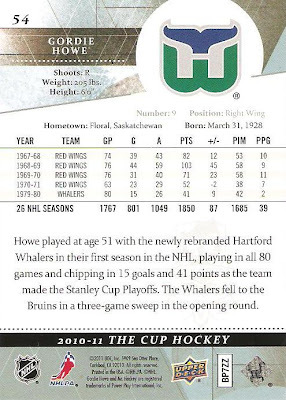 Collecting Whalers - The Cup? First and foremost, I've taken down the Brass Bonanza song for the time being. It's been stuck in my head for a couple of days running now, and I need a break. 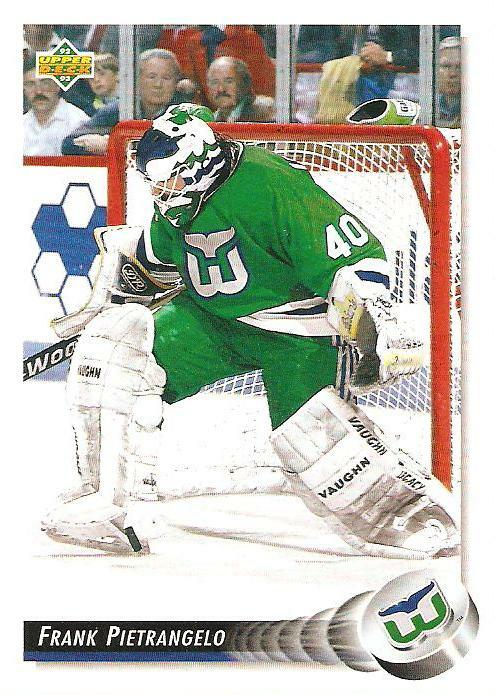 I will save the song for only the very best Whalers cards that I post over the next couple of weeks. This is a 2010-11 The Cup base card of Hartford's greatest player, and one of the most under-rated players in the history of the NHL period, Ron Francis. Not a bad looking card if you ask me. A bit too much foil for my liking, but at least the design is simple and clean. All of the base cards are numbered to 249, and as others have mentioned they are super thick. I would say this card is as thick as at least 6 or 7 standard cards combined, maybe thicker. I wish they would've used a color photo of Francis, but I guess this black and white shot isn't awful. The backs are fairly basic, nothing to write home about but a nice large Whalers logo is always appreciated. 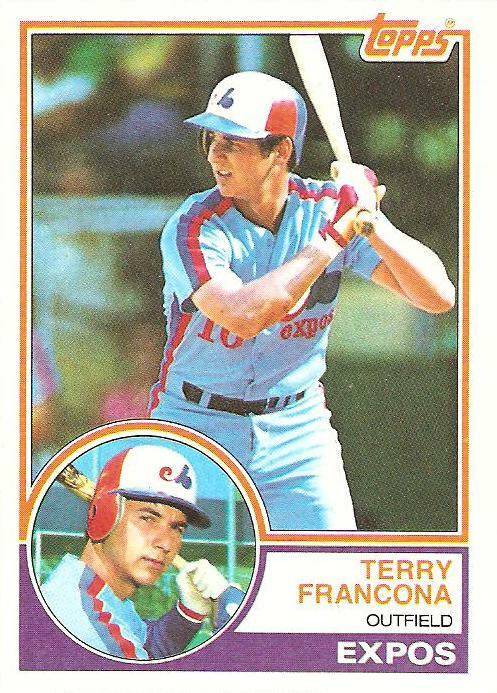 I can't imagine anyone tries to complete this base set, given that the cards can go for a few bucks a pop, but if you're a player or team collector they're a nice addition. I've got a few more 2010-11 Whalers cards coming soon, including at least one more from The Cup. Have any of you picked up anything from this set? I saw DFG bust a couple of boxes, and Drop the Gloves picked up a nice Adam McQuaid auto. Anyone else? 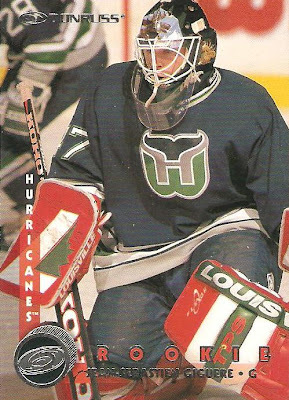 Ladies and Gentlemen...Your Hartford Whalers!!! Are You a "Card Vulture"?